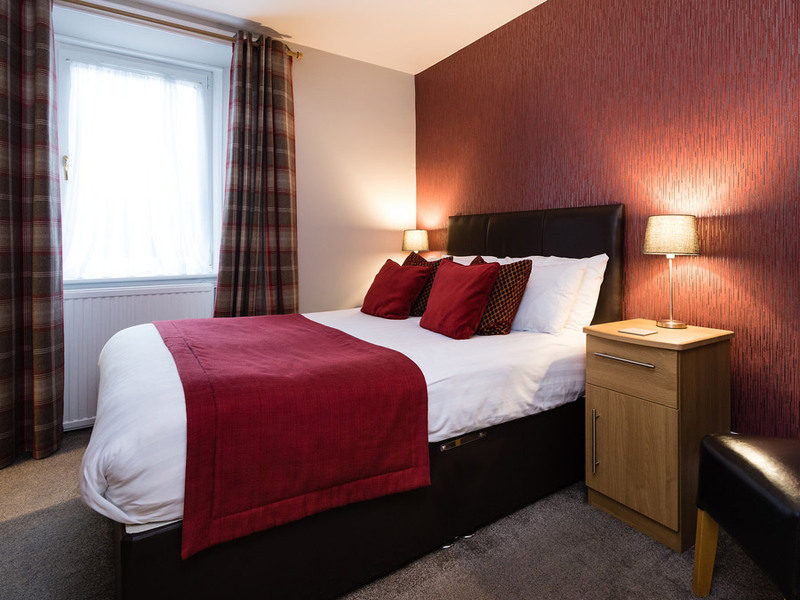 Your choice of accommodation at Derrybeg Bed & Breakfast. 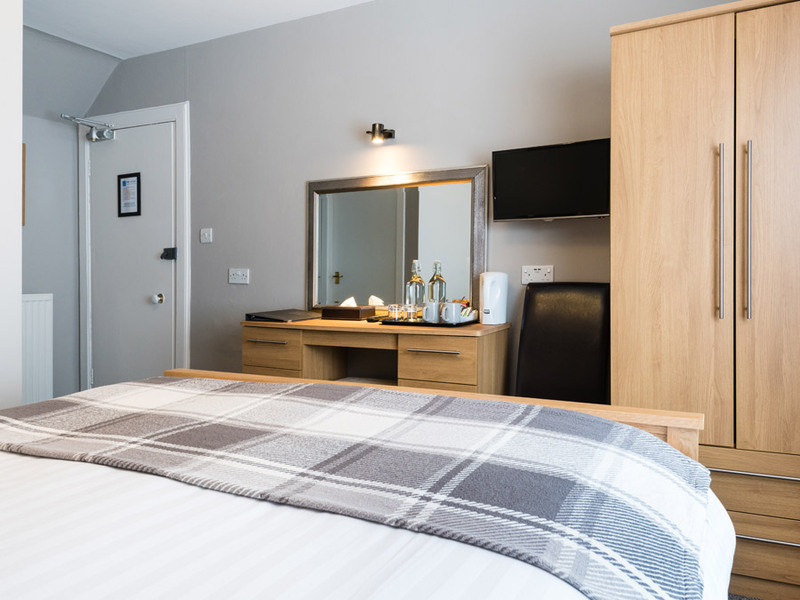 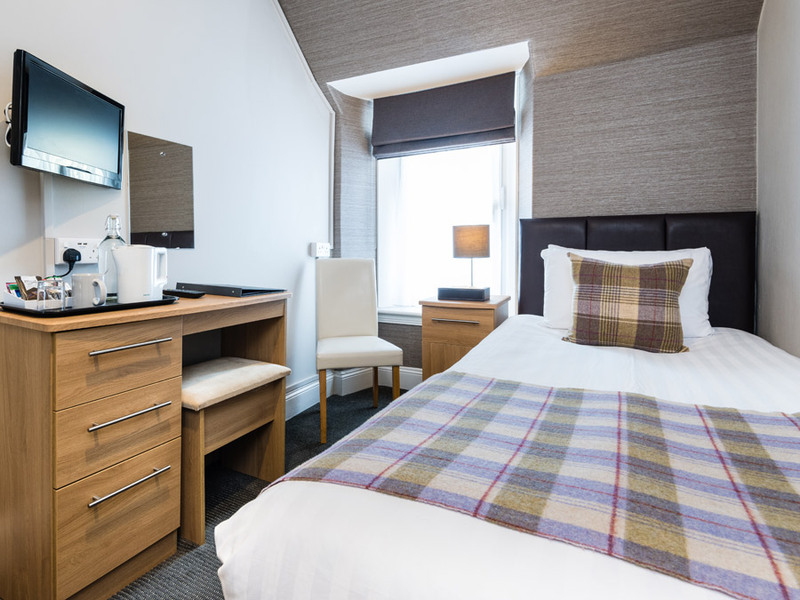 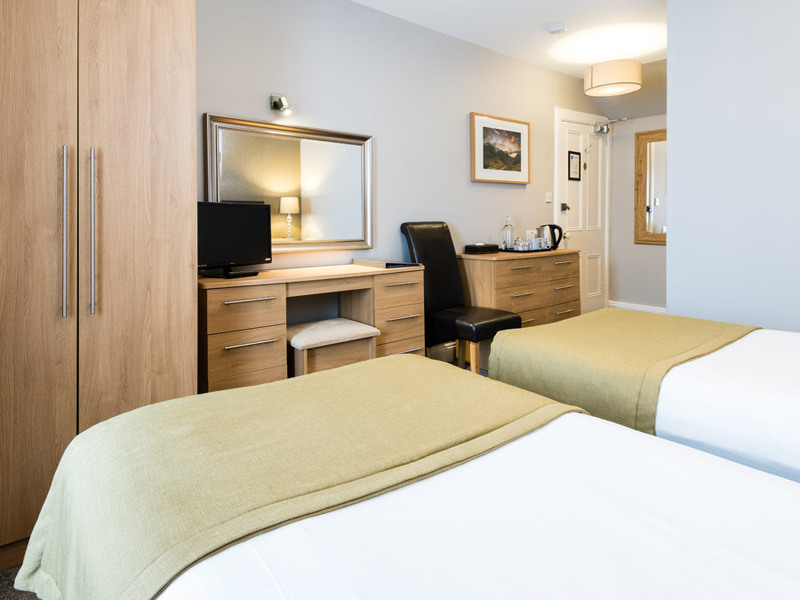 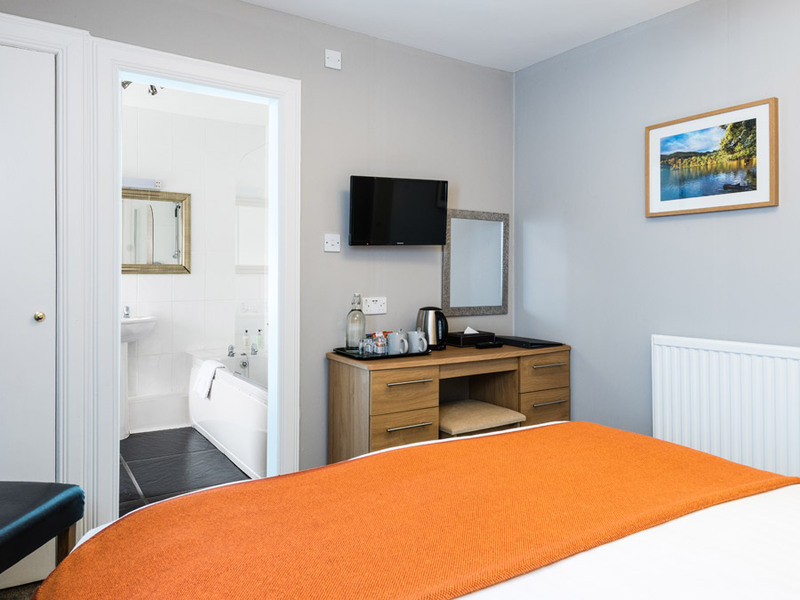 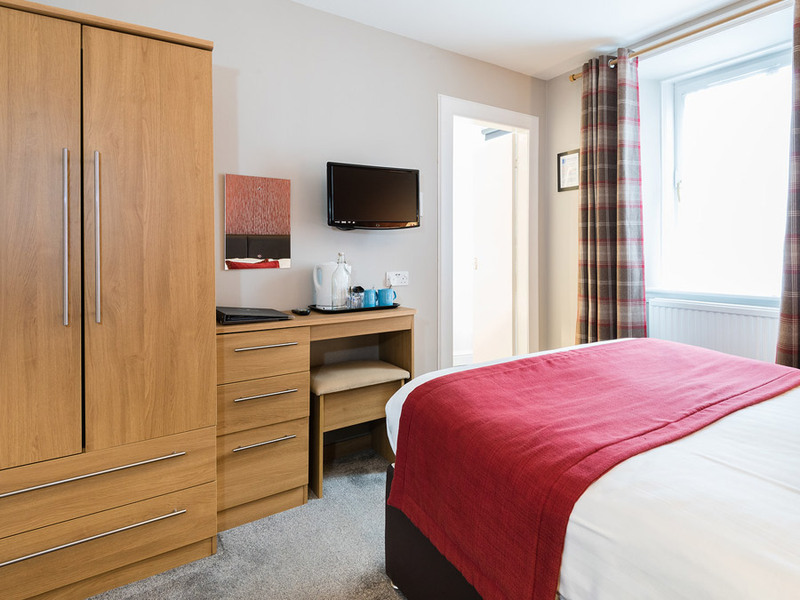 All rooms have a hairdryer and a hospitality tray which includes bottled water, tea, coffee, fruit teas and local biscuits and free Wi-Fi access. 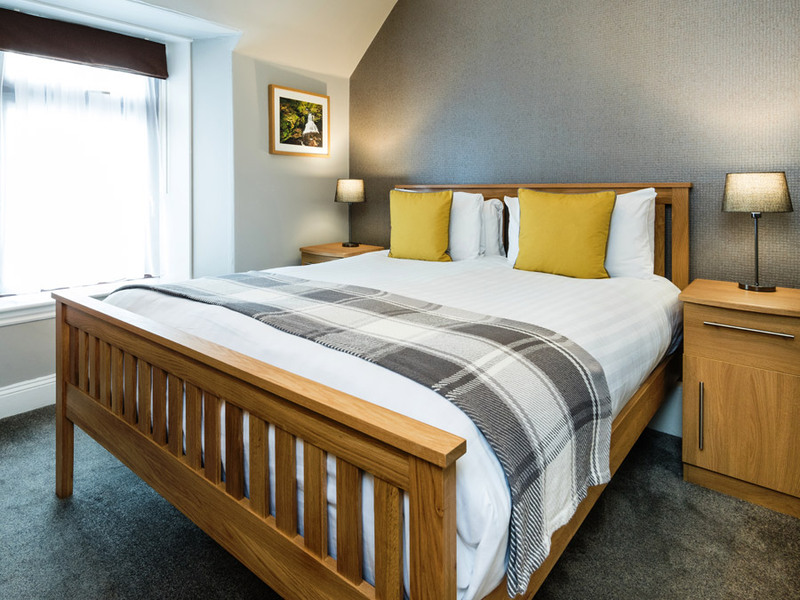 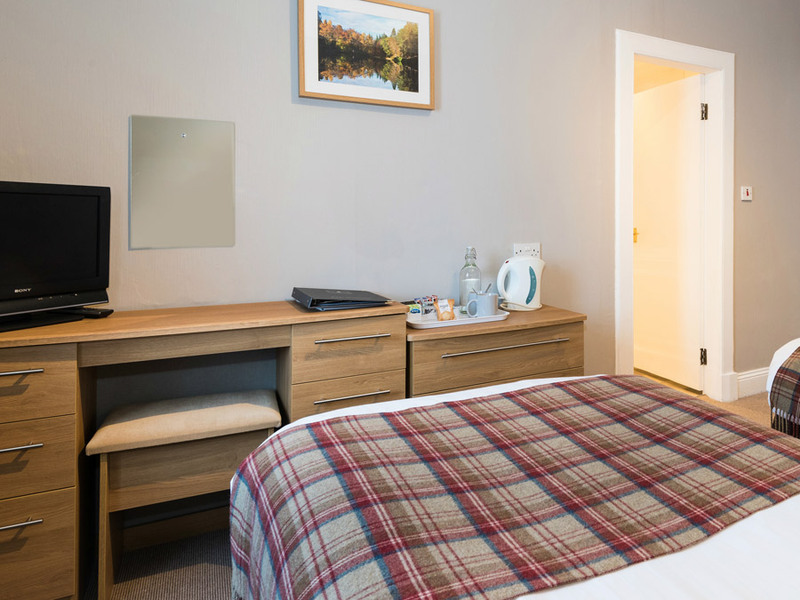 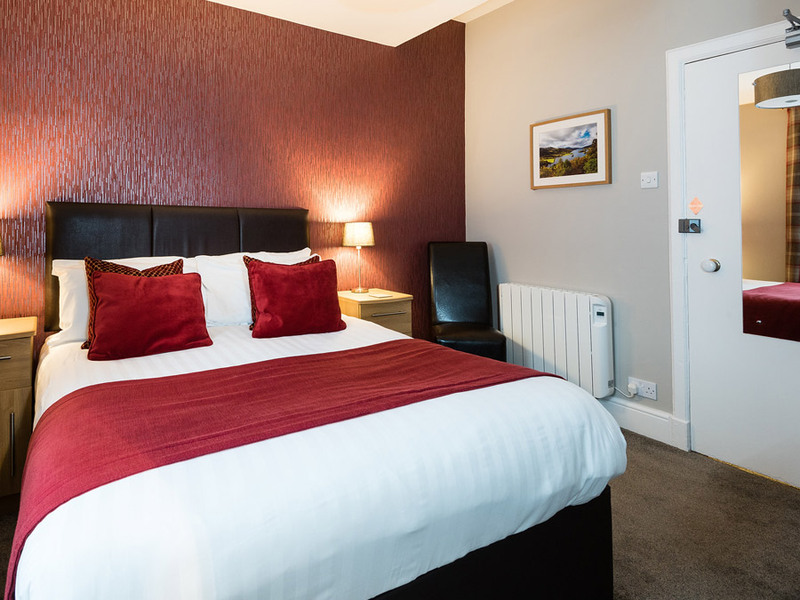 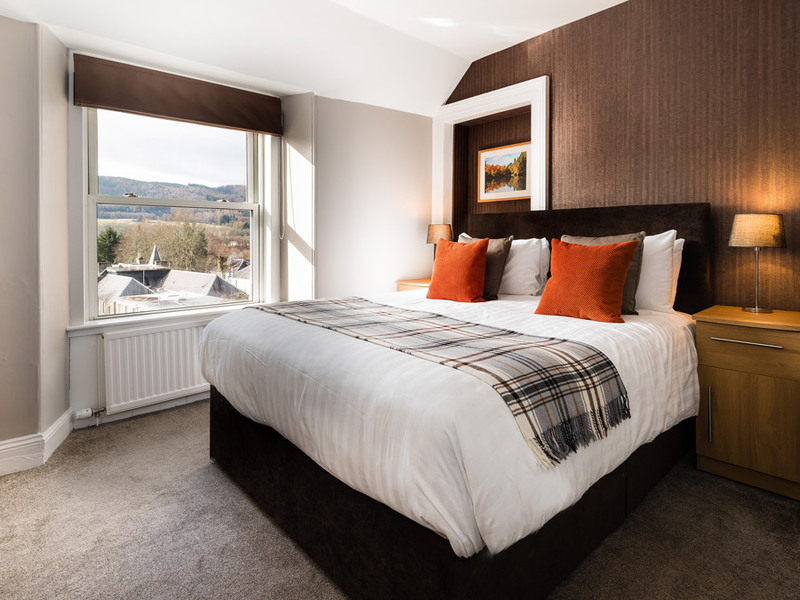 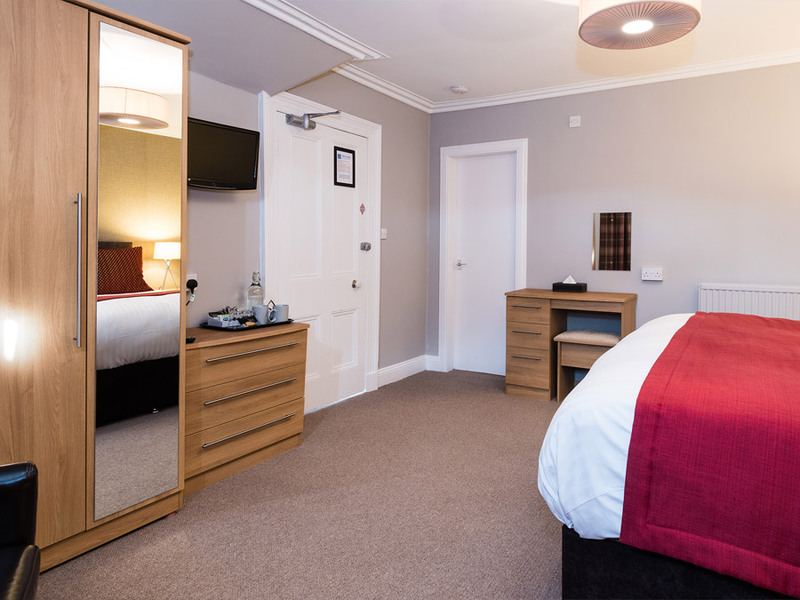 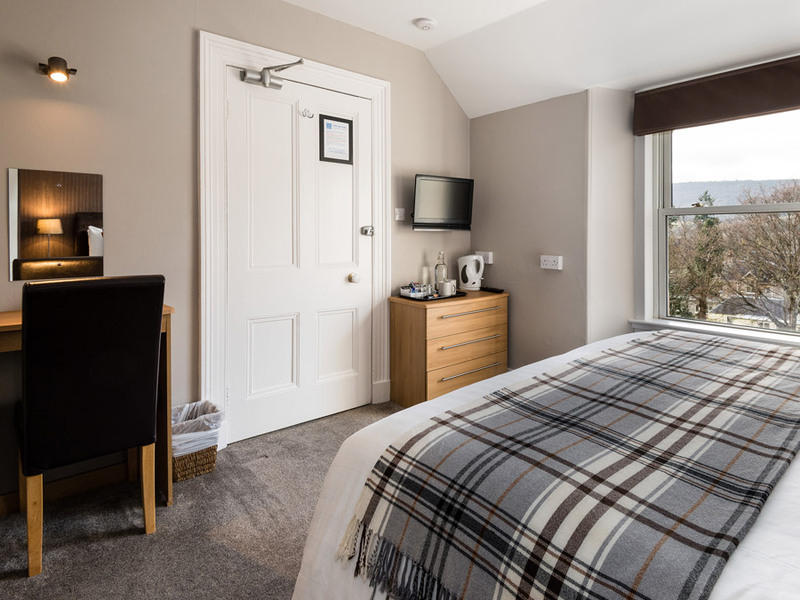 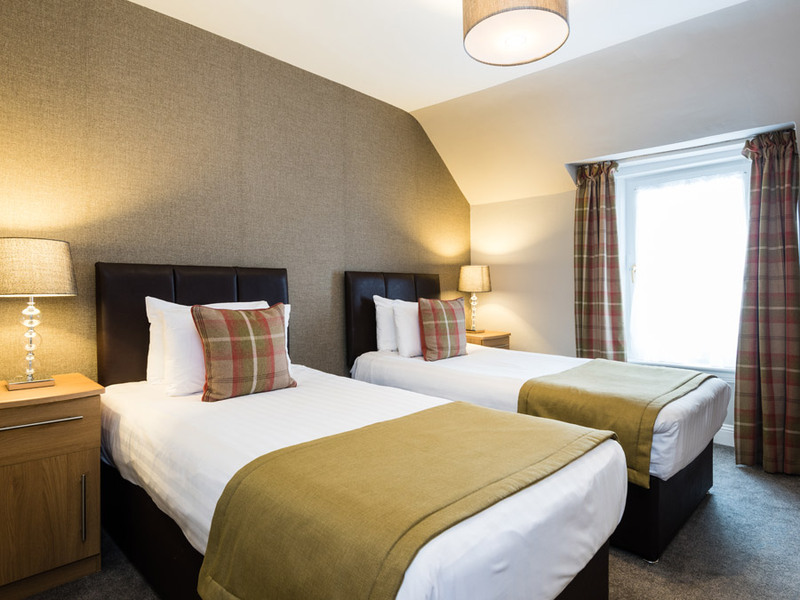 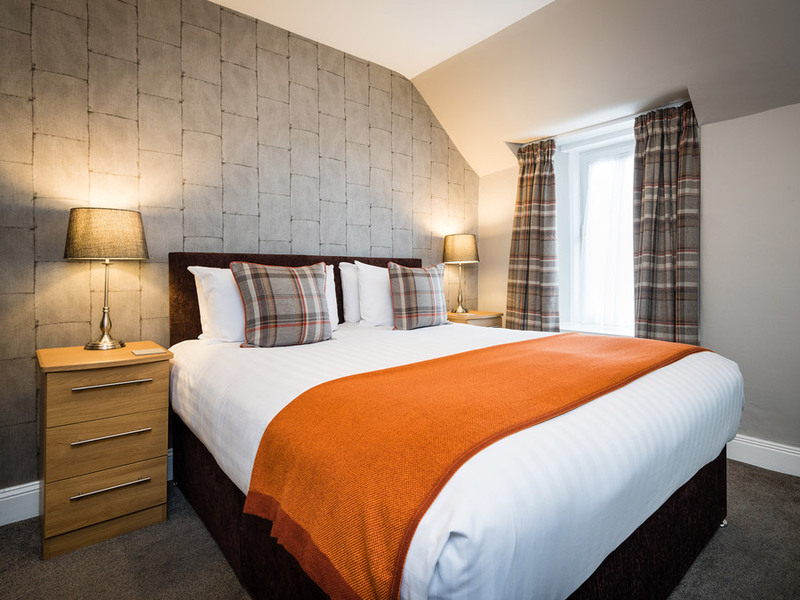 Large bright double room on first floor with king size bed, en-suite facilities comprising shower over a bath, hand basin and toilet, with far reaching & beautiful views across Pitlochry rooftops to the Tummel Valley. 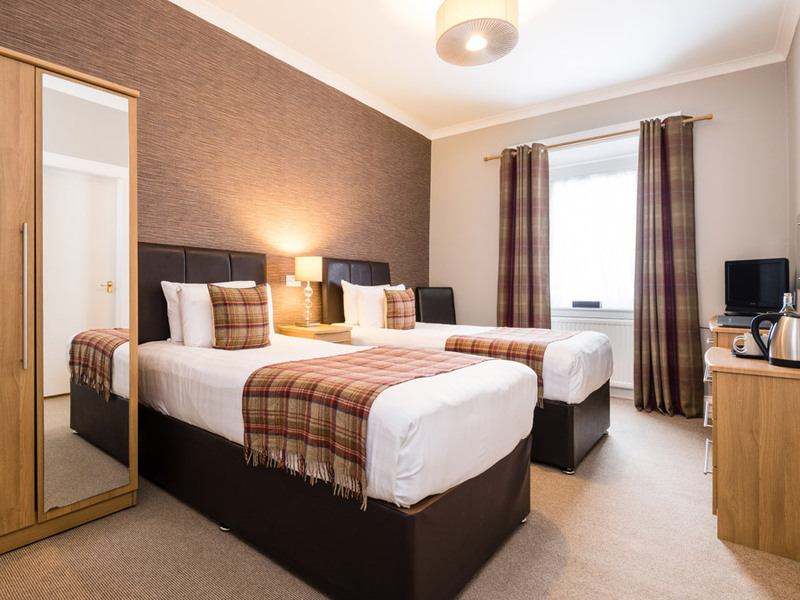 Our largest double room. 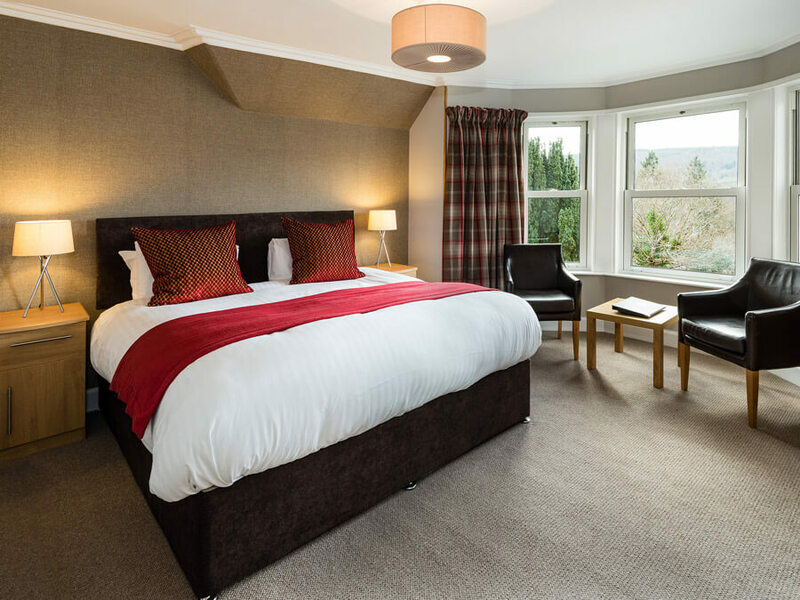 Situated on the first floor with super king double bed, en-suite facilities comprising shower, hand basin and toilet, large bay window with far reaching & beautiful views across Pitlochry rooftops to the Tummel Valley. 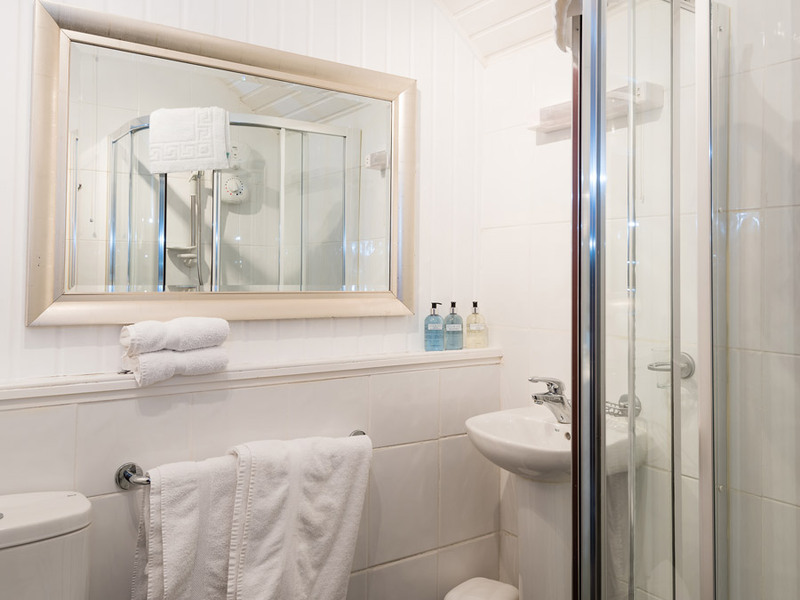 Double room on the first floor with king size bed, en-suite facilities comprising of a shower over the bath, hand basin and toilet. 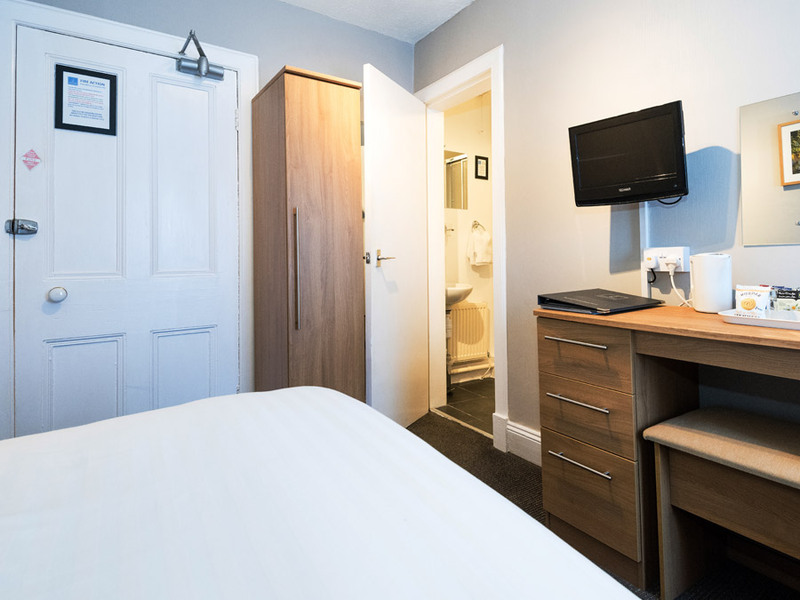 First Floor twin room with en-suite facilities comprising of shower, hand basin & toilet. 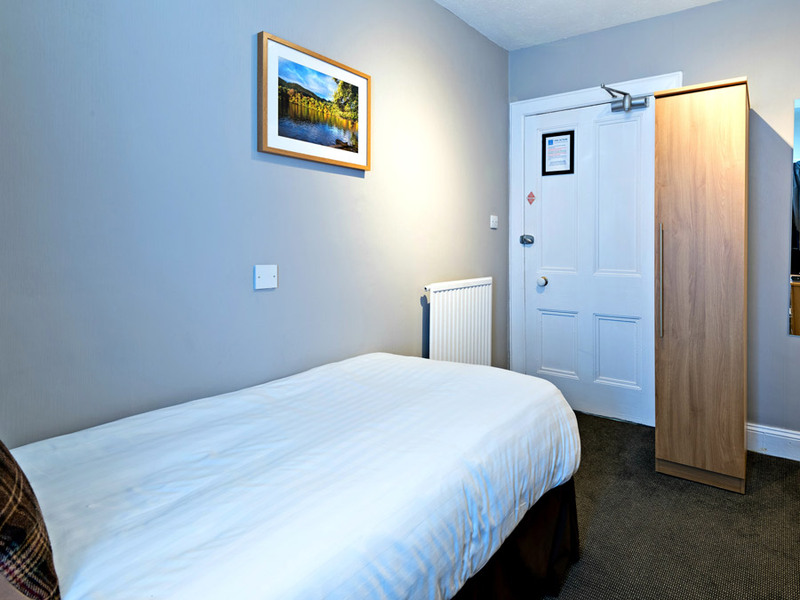 Double room on the first floor with king size bed, en-suite facilities comprising of a shower, hand basin and toilet. 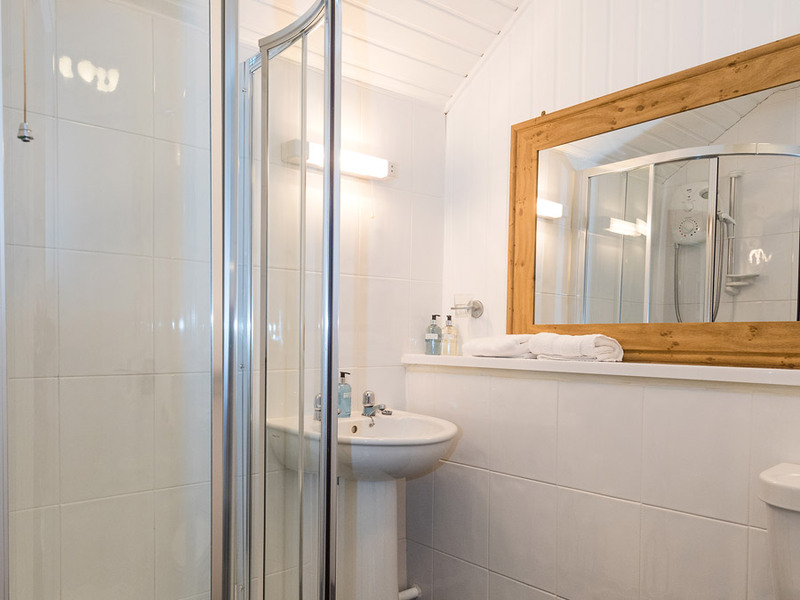 Single room on the first floor with en-suite facilities comprising of a shower, hand basin and toilet. 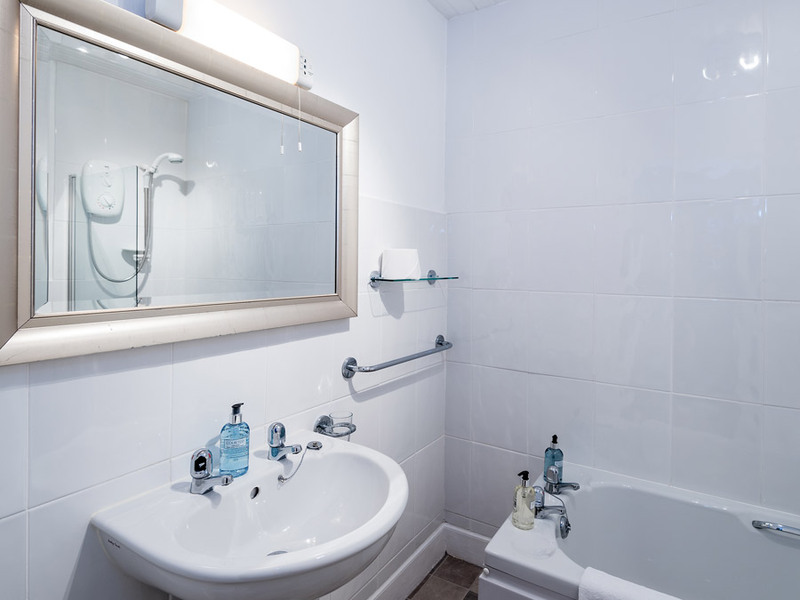 Small double room on the ground floor with en-suite facilities comprising of a shower, hand basin and toilet. 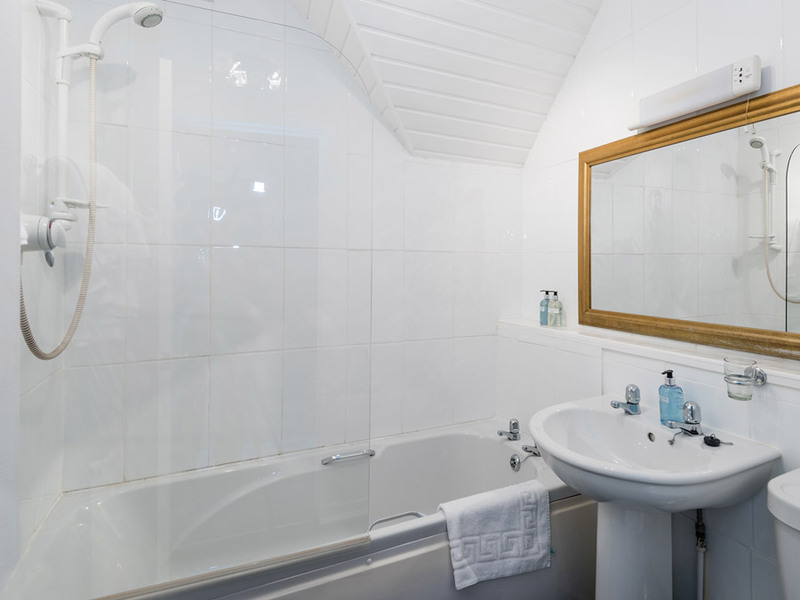 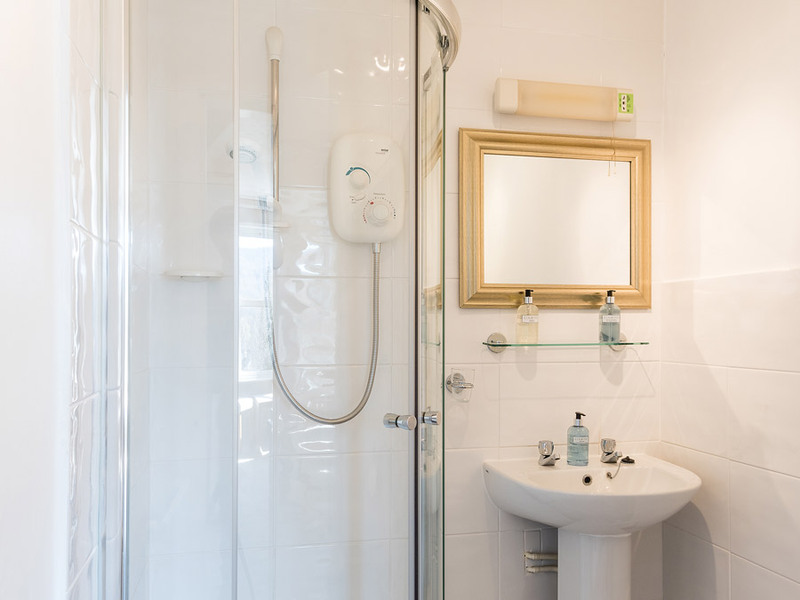 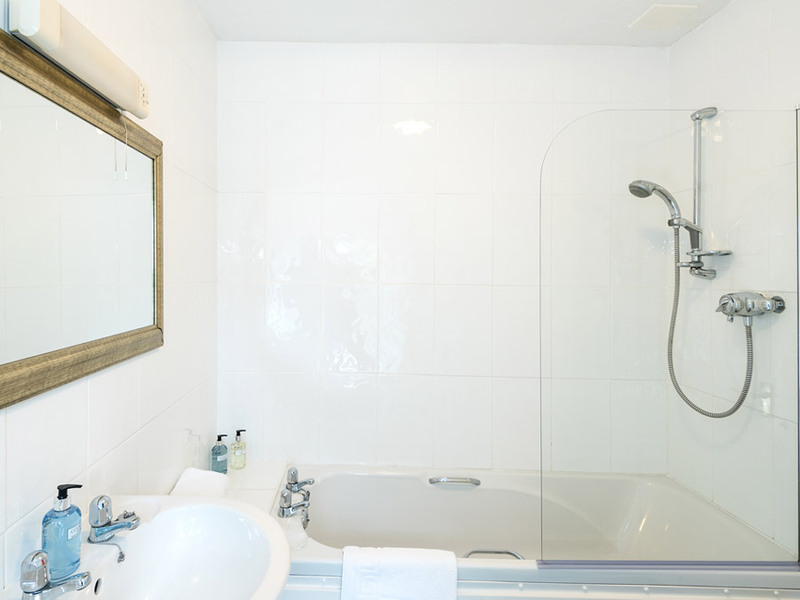 Twin room on the ground floor with en-suite facilities comprising of a shower over the bath, hand basin and toilet.